The bronze option will cover the basic requirements for keeping your car functioning smoothly. Ideal for if you have a new car, or are on a budget. On this service we replace the engine oil and oil filter; carry out brake fluid and gearbox fluid tests and more. The Silver option covers all of the aspects of bronze option but will take into account the condition of your brakes, condition and pressure of your tyres and more. 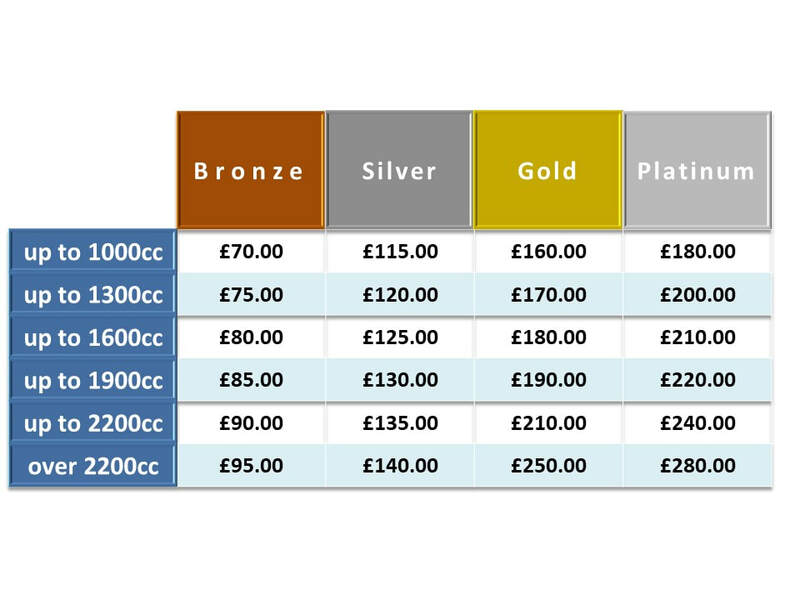 The gold option is the most comprehensive servicing option. It covers all the services and checks of the bronze and silver options but we also conduct a number of important checks on the wear and tear of the car, f rom suspension reviews to spark plug replacement. To keep your car in good working order and hopefully avoid any hefty unexpected bills, we recommend this option. Please call us for more details. *All prices are inclusive of parts, labour and VAT.